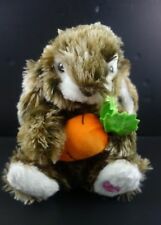 purple Bear Rabbit 13” Plush by Dan Dee Stuffed Animal Collector’s Choice. Condition is Used. Shipped with USPS Priority Mail.